I loved it. A big whisky, fiery and complex. Dark and bright. Alcohol is perfectly integrated, it does not matter for a second. 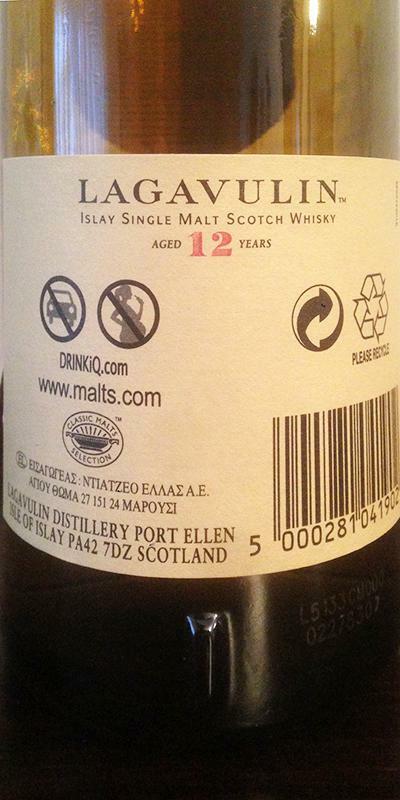 For lovers of powerful peat and marine, if you have not tried this version 12 years CS, run! The pleasure - price ratio is superb! Beside and despite its qualities, the 16-year-old does not hold the shock. If it had to be given a subjective note, it would be a 91. Very light creamy yellow color, regular tears, fine, long and fast. After rubbing, a taste on the palm gives me a glimpse of a day when we decide to burn the branches and "bad" herbs of the garden, ashes, burnt wood, freshly mown grass, and cereals. A garage nose, motor oil, fat bike chain, hot metal and wet rock. The burnt land of peat, gasoline, grilled fish. The seaside is not far, iodine and seaweed accompanied by salt, white pepper and licorice. We leave this beautiful ocean world and burned to be carried by the breeze and spicy floral. Violet and blackcurrant bud, lemon and zest as well as dark chocolate. A beautiful nose composing a beautiful symphony of peat, flowers, spices and fruits. It's dry and fat in the mouth. Very smoky, on ash, just burnt wood and coal. The distillate becomes round and sweet, the violet, spicy around curry and white pepper. The palate is hot and spicy. Lemon, but also a beautiful exoticism: pineapple and coconut. The metal and the wet rock offer a nice freshness. The finish is very oily, on bitter cocoa. The final is long. The Lajaunie cachou, the ash and the beautiful pear Helen. The empty glass resonates on grilled / toasted, peat and lemon zest. Ordentliche Kracher, also different / idiosyncratic enough to justify the individual releases. When it was still around the 50 ¬, that was a welcome addition to the quite narrow standard range, for today's 80-100 € Diageo can nail the neatly groomed knee. Integrally ex-refill American oak. Who would be against that. This baby’s a hit everywhere every year, including at WF Towerz. 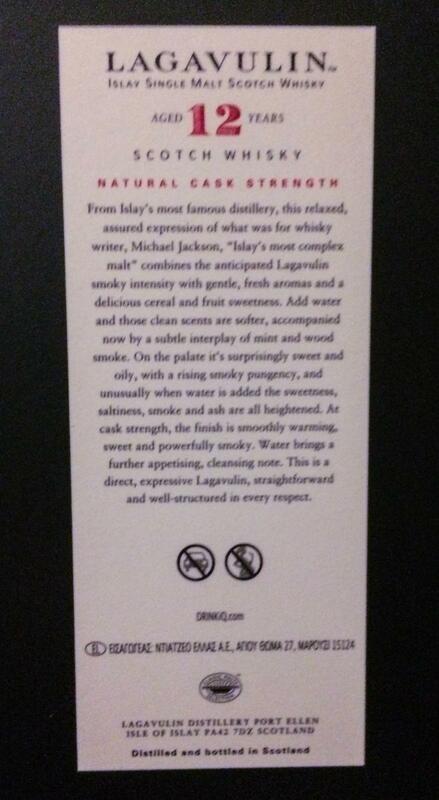 Nose: we’re extremely close to Lg5, this official’s just got a little more malty/coffeeish notes, as if the wood was a notch more active, and a peatiness that’s a little more leathery/tarry, so a little heavier and less bright and lively. 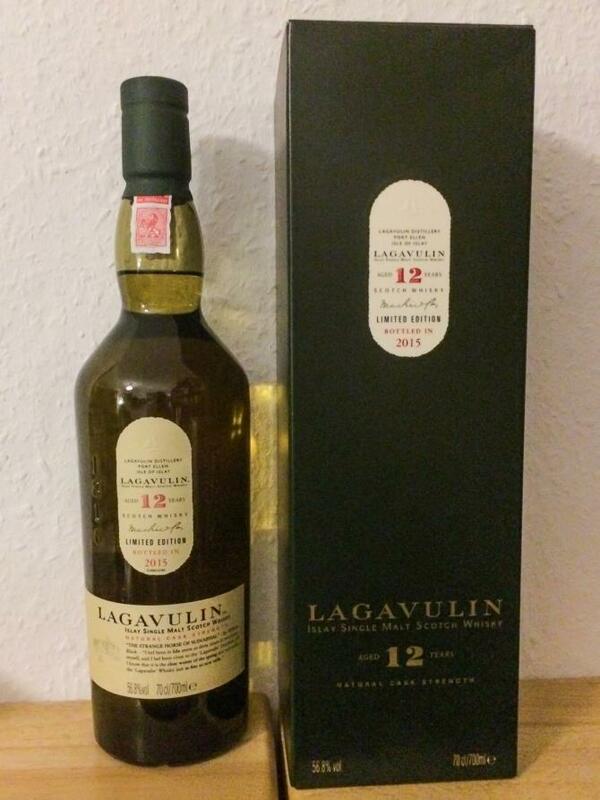 But the whole remains a bright and lively Lagavulin. Love these notes of earthy pear pie. Beach sand. 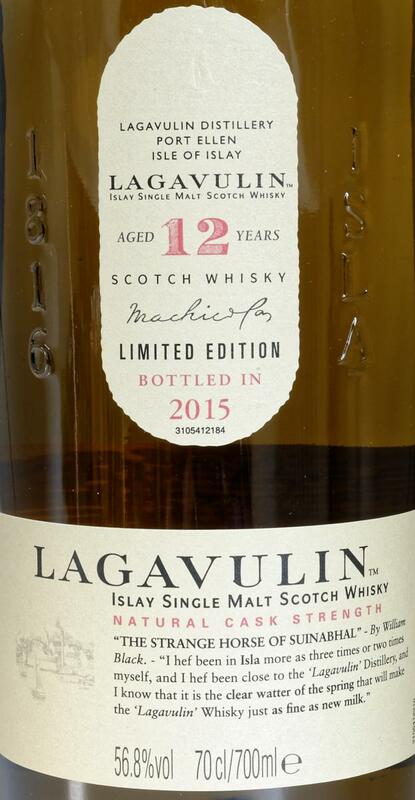 With water: just more proof that Lagavulin Distillery and its people are doing the greatest job. What a pure, yet fat, yet bright, yet heavy, yet elegant smoky spirit. What I especially like at Lagavulin is the fact that it’s not only about peat. Mouth (neat): exactly the same feeling. A tad fatter and oilier. Barbecued marshmallows and sausages grilled over a bonfire. Ah, our boy scout days… Love this. Less wood, more spirit, that’s our motto. With water: what? Can you smoke and salt multi-vitamin fruit juice? And add chamomile, eucalyptus tea, and bits of bacon and kipper? Finish: long and warming, but remaining fresh, which is quite an achievement. Liquorice allsorts in the aftertaste, which reminds us of what Wise Pinkie MacArthur always says, ‘Lagavulin is sweet’. Also a little new oak, bizarrely. Pencil shavings. That can’t be! 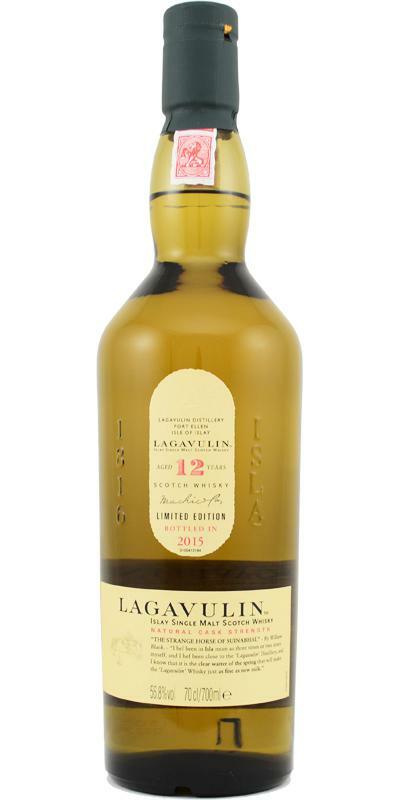 Comments: Lagavulin’s annual 12 is like Sticky Fingers, everyone should have it in his stash. And I like it just as much as the new Port Ellen ’83. Really good, I feasted, to discover if it is possible! Immediate peat, follows the rubber type marine buoy. The sea is not far away with iodine that appears immediately. Burnt wood too. Peat is confirmed, firewood and iodine also. Also citrus fruits (lemon). It is greedy, round, dry, fat, balanced, rich: excellent!